Hello mum-to-be. Congratulations on your pregnancy, and welcome to a whole new world. For the next 40 weeks or so, you’ll be going on a journey of much wonder. If it’s your first pregnancy, you’re probably anxious about venturing into the unknown. There’s lots of information out there that can help you, and friends and family who can advise you. But there is no one-size-fits-all package for pregnancy. So how do you know if what you read or hear is really suitable for you and your Baby? Your pregnancy is unique, just like you. That’s why it’s important to get trusted advice that is developed just for you — a mum-to-be in Singapore. The Healthy Pregnancy plan from HealthHub Track gives you all that and more. HealthHub Track is a web portal and mobile app that helps you take charge of your health and reach your goals with daily personalised actions. 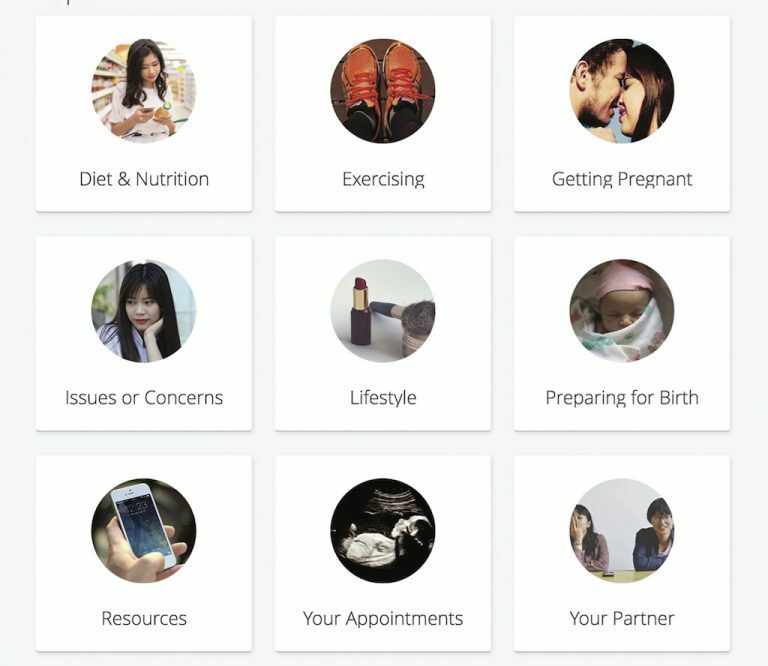 Within this app is HealthHub Track’s Healthy Pregnancy plan, which is specially designed for the mum-to-be in Singapore. Developed in collaboration with healthcare experts from KK Women’s and Children’s Hospital Division of Obstetrics and Gynaecology, it provides you with updates about pregnancy that are customised for you – from recipes to activities – all designed by the best doctors in town. Easy-to-use functions like a timeline and action plans help you keep track of your pregnancy. You can also get daily tips on staying healthy, and access expert advice with the touch of a button. 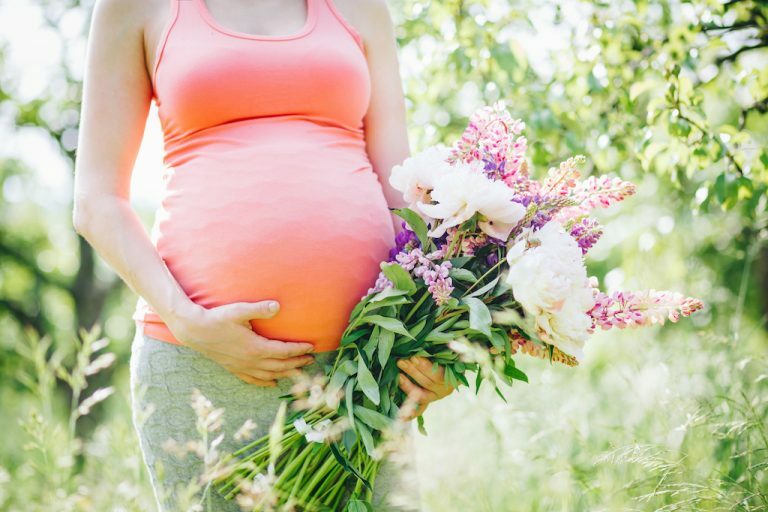 So mum-to-be, you can sit back, take charge, and have a happy, healthy and active pregnancy — your way. 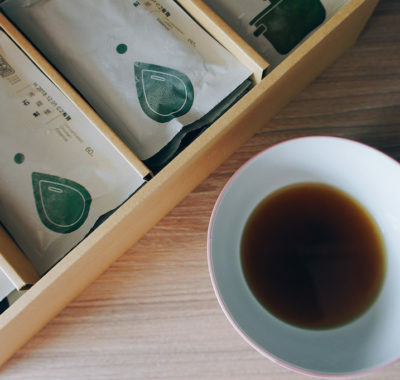 What’s in HealthHub Track’s Healthy Pregnancy plan? • First of all, you get localised and personalised content to ensure a healthy pregnancy, developed with experts from KK Women’s and Children’s Hospital Division of Obstetrics and Gynaecology. We love how the information is presented Singaporean-style too! At week 10 of pregnancy, for instance, we’re informed that Baby now resembles “the size of a kumquat”. • In addition to that, there’s a Library with articles (look under ‘Topics’) and Guides catered to Singaporean mums and mums-to-be. 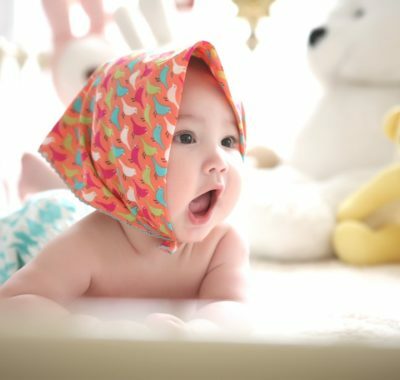 Learn the Do’s and Don’ts of Asian Confinement, get breastfeeding advice, and find out what you need to know about the Baby Bonus. • There’s also a To-Do plan (Eg: take your supplements, do 15 minutes of squats) that you can follow and tick off the check-list. • Finally, there are Challenges you can join with other mums-to-be to keep your pregnancy healthy. 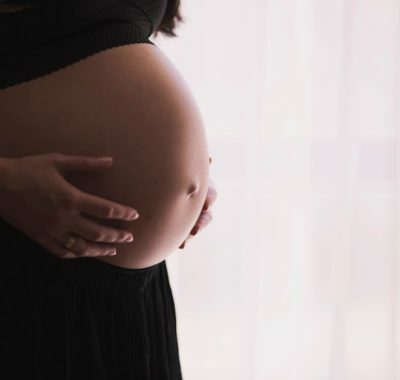 The Active Steps Pregnancy Walking Challenge guides you on a 5,000 step per day goal for the first trimester, and up to 8,000 steps per day for the third trimester. 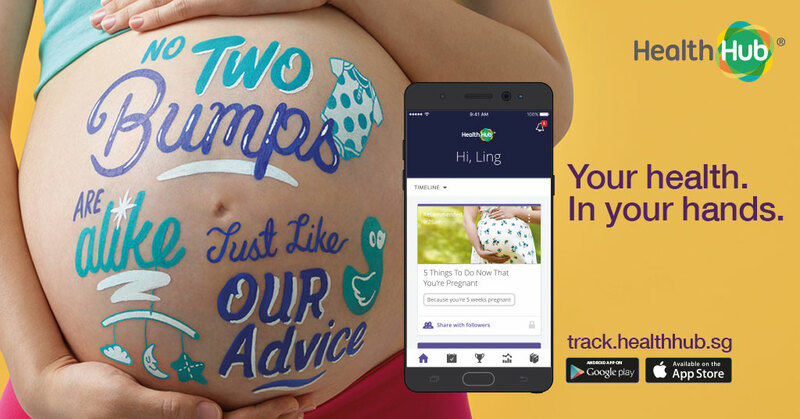 Visit track.healthhub.sg and select Healthy Pregnancy as your health goal. Register. If you want to, sync data from wearables like your Fitbit, Jawbone UP, and fitness trackers like Google Fit and Runkeeper. These help you to get even more detailed information about how your body is adapting to pregnancy. Connect with fellow mums-to-be and preggie friends, and form your own support group to accompany you through this wonderful journey. Want to let the hubs, family and friends know more about your pregnancy? Share your progress on Facebook, or Twitter directly from the app, with just a few simple taps. As your pregnancy progresses, the app tracks your responses and adjusts the advice and daily tasks. You can follow them and take simple steps every day to keep your pregnancy health on track. With HealthHub Track’s Healthy Pregnancy plan, you’ll have information and advice in your hands, so you can relax and enjoy your pregnancy the way you want! 23 Funtastic Indoor Playgrounds to Take Your Kids to Rain or Shine (UPDATED)!